Today’s space history segment combines the recent past and the long past. In the recent past, 35 years ago today — September 5, 1977 — the Voyager 1 space probe launched from Cape Canaveral aboard a Titan IIIE-Centaur rocket. Like its sister ship, Voyager 2 (launched about 2 weeks prior), Voyager 1 was designed to study Jupiter and Saturn. 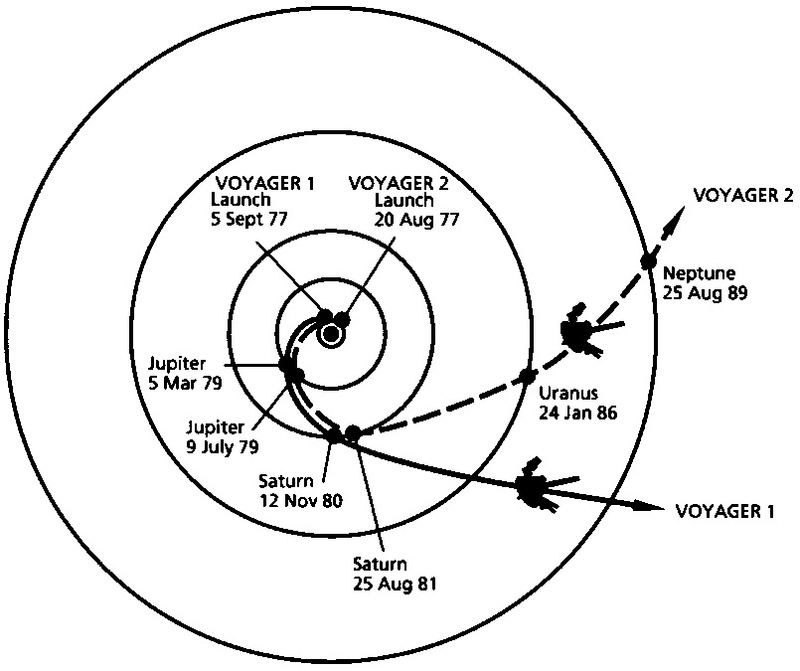 Voyager 1’s trajectory was such that it reached both planets before Voyager 2. After its Saturn encounter in 1980, Voyager 1 began making its way toward the edge of the solar system. Voyager 1 is speeding away from the Sun at a velocity of about 3.50 AU/year toward a point in the sky of RA= 262 degrees, Dec=+12 degrees (35.55 degrees ecliptic latitude, 260.78 degrees ecliptic longitude). Late on 17 February 1998, Voyager 1 became the most distant man-made object from the Sun, surpassing the distance of Pioneer 10. Data from NASA’s Voyager 1 spacecraft indicate that the venerable deep-space explorer has encountered a region in space where the intensity of charged particles from beyond our solar system has markedly increased. Voyager scientists looking at this rapid rise draw closer to an inevitable but historic conclusion – that humanity’s first emissary to interstellar space is on the edge of our solar system. In the 1920s and 1930s, Tsiolkovskiy proved especially productive, publishing ten major works clarifying the nature of bodies in orbit, developing scientific principles behind reaction vehicles, designing orbital space stations, and promoting interplanetary travel. He also expanded the scope of studies on many principles commonly used in rockets today: specific impulse to gauge engine performance, multistage boosters, fuel mixtures such as liquid hydrogen and liquid oxygen, the problems and possibilities inherent in microgravity, the promise of solar power, and spacesuits for extravehicular activity. Significantly, he never had the resources—perhaps not even the inclination—to experiment with rockets himself. 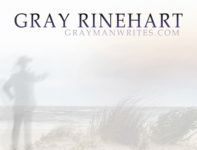 Even though the coincidence of dates is pure artifice — the product of changes to the world’s calendars — it seems a fitting coincidence. After all, the Voyager mission itself was presaged by Tsiolkovskiy’s original work. Thirty-five years ago today — August 20, 1977 — the Voyager 2 space probe launched from Cape Canaveral aboard a Titan-IIIE-Centaur rocket. 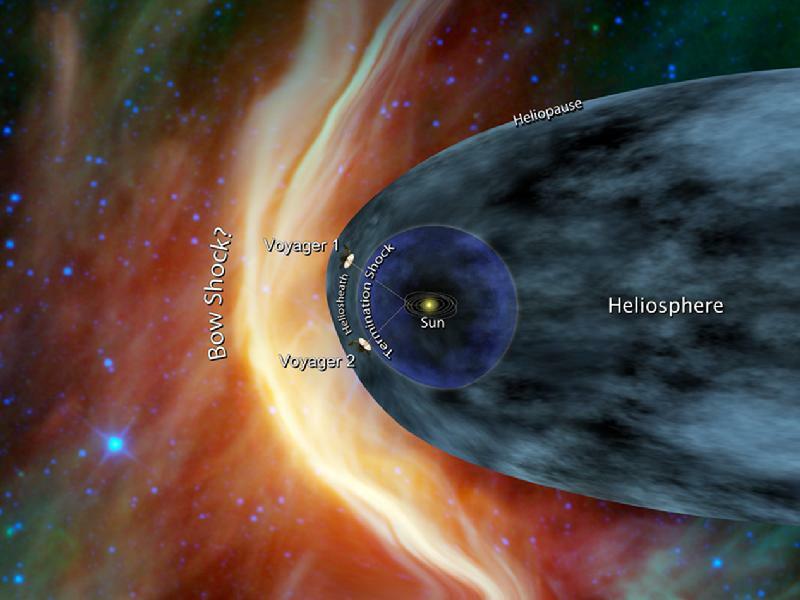 Voyager 2 was actually the first of the Voyager spacecraft to be launched. Voyager 1 would be launched a little over two weeks later. Originally planned as a Grand Tour of the outer planets, including dual launches to Jupiter, Saturn, and Pluto in 1976-77 and dual launches to Jupiter, Uranus, and Neptune in 1979, budgetary constraints caused a dramatic rescoping of the project to two spacecraft, each of which would go to only Jupiter and Saturn. Voyager 2’s launch date had preserved one part of the original Grand Tour design, i.e. the possibility of an extended mission to Uranus and Neptune. 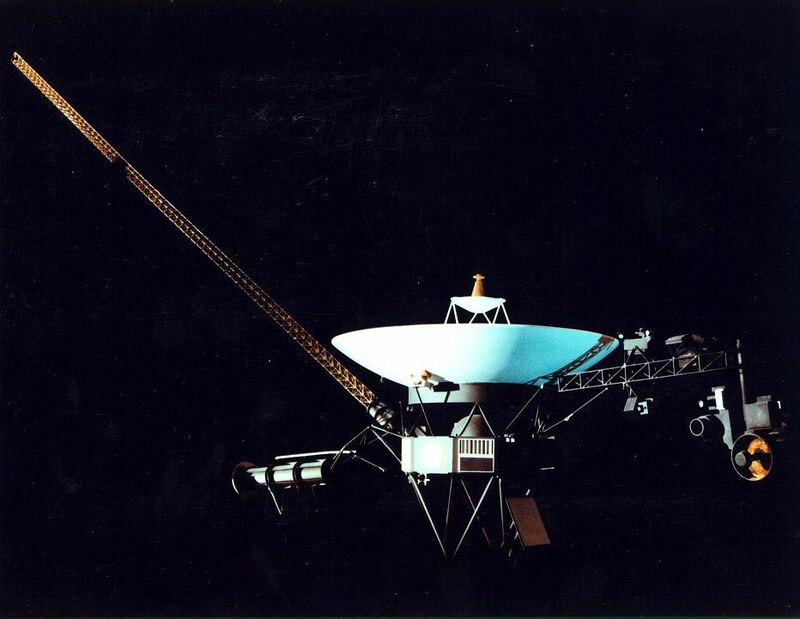 Despite the difficulties encountered, scientists and engineers had been able to make Voyager enormously successful. As a result, approval was granted to extend the mission, first to Uranus, then to Neptune and later to continue observations well past Neptune. The extended mission required controllers to upload new software to take into account the communication lag times and the lower light levels in the outer solar system, but Voyager 2’s systems continued to work superbly. Our space history series has already noted Voyager 2’s successful visits to Jupiter, Saturn, Uranus, and Neptune. Now known as the Voyager Interstellar Mission, Voyager 2 is currently over 99.35 astronomical units from the sun … and still going. Twenty-five years ago today — January 24, 1986 — the Voyager-2 spacecraft made its closest approach to the planet Uranus. Its flyby carried Voyager-2 to within 50,600 miles (81,500 km) of Uranus. In addition to taking images of the planet’s rings and known moons, Voyager-2 discovered ten previously unseen moons and two previously unknown rings. Thirty years ago today — November 12, 1980 — Voyager-1 made its closest approach to Saturn. On this same date, 15 years ago, the Space Shuttle Atlantis blasted off from the Kennedy Space Center on mission STS-74. U.S. astronauts Kenneth D. Cameron, James D. Halsell, Jerry L. Ross, and William S. McArthur, Jr., along with Canadian astronaut Chris A. Hadfield, delivered the Russian Docking Module to the Mir space station on only the second Shuttle-Mir flight. Personally, I look forward to the day when people get to visit the outer planets, too. I wish I could. Twenty years ago today — August 25, 1989 — the Voyager-2 spacecraft made its closest approach to the planet Neptune. It was the first man-made craft to visit the distant planet. Passing about 4,950 kilometers (3,000 miles) above Neptune’s north pole, Voyager 2 made its closest approach to any planet since leaving Earth 12 years ago. Five hours later, Voyager 2 passed about 40,000 kilometers (25,000 miles) from Neptune’s largest moon, Triton, the last solid body the spacecraft will have an opportunity to study. You can read more about Voyager’s encounter with Neptune on this NASA page. Speaking of space history, I recently added a new history section to the North Carolina Aerospace Initiative web site. It’s part of our “aerospace education” function, and as we add to it I hope teachers and other folks will find interesting tidbits on it. Here’s the link to the first installment: August aerospace history. Thirty years ago today — July 9, 1979 — Voyager-2 made its closest approach to Jupiter. Voyager-1 had already visited the planet on March 5, and was on its way to Saturn. After Voyager-2’s flyby of the gas giant, it also headed toward the ringed planet. The Voyager spacecraft represent a marvelous engineering achievement. Built to last five years, they are still probing the mysteries of the local interstellar neighborhood. You can read more about the Voyager missions on this NASA page.